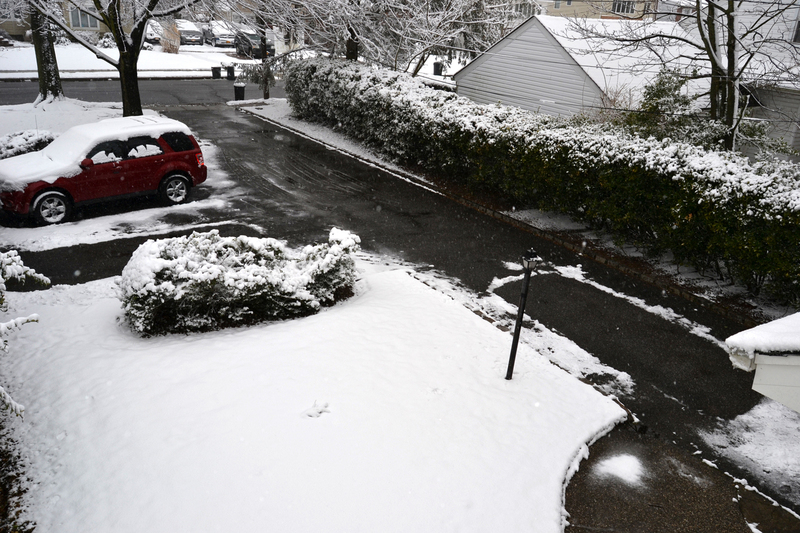 I will assume that the wet snow that mixed with rain on Monday night was the last snow of the season (that carried into spring). 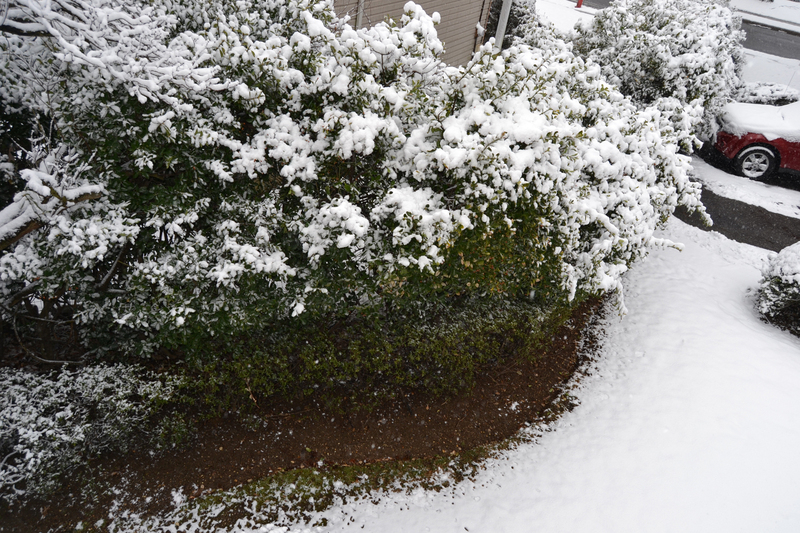 Since there was no accumulation, I didn’t take pictures. 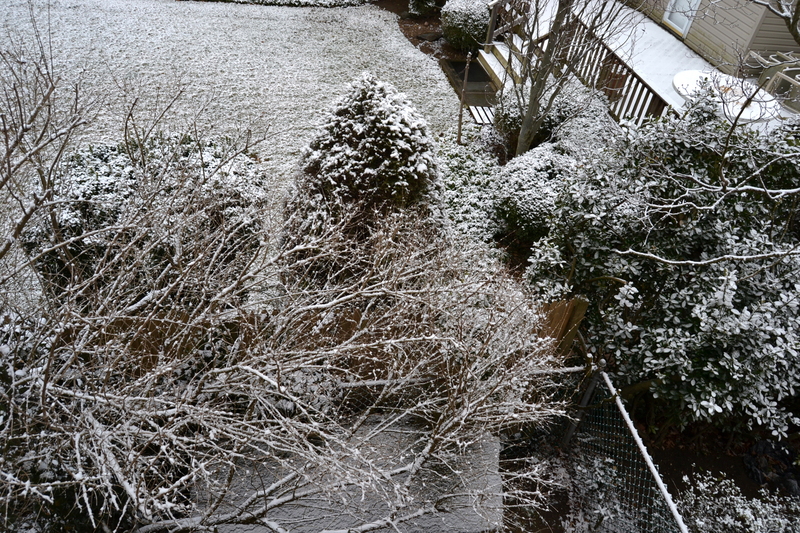 But I did have the camera out a week ago for a pair of minor wet snow events. 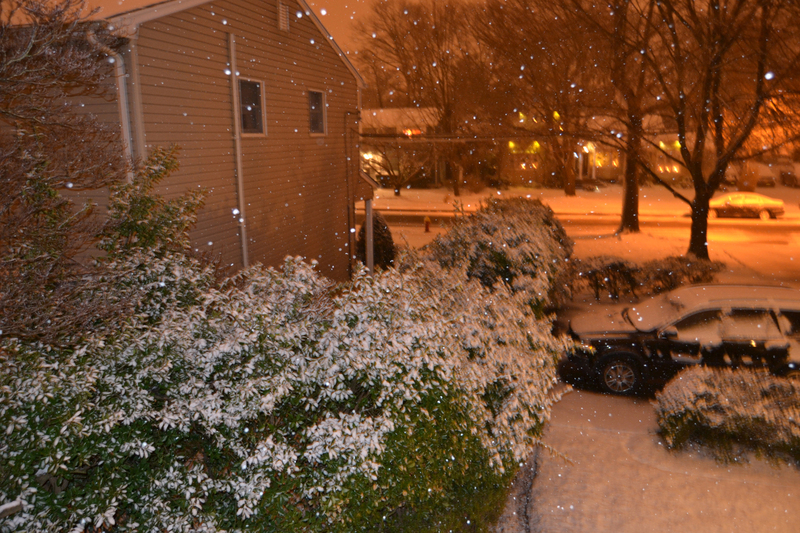 I wasn’t expecting much snow to accumulate, but as the evening progressed, there was a decent amount on the ground. By this time, the National Weather Service hastily issued a winter weather advisory until midnight when the wet snow changed to rain. 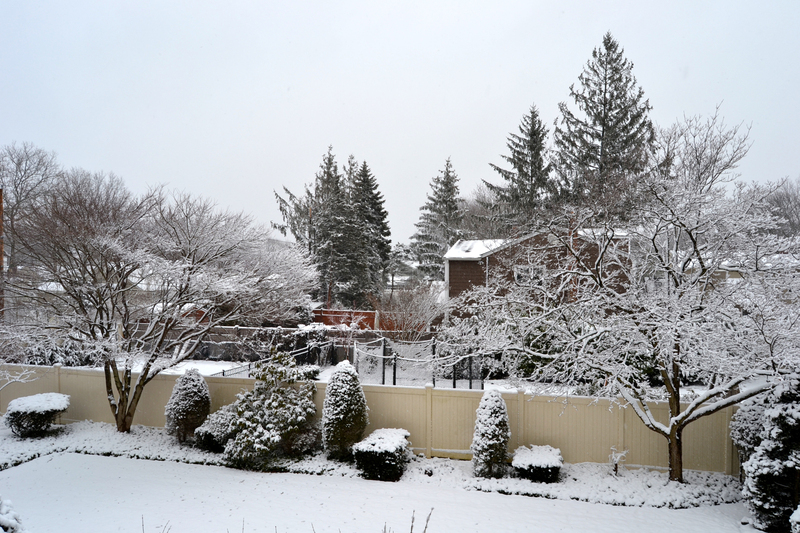 By morning, most of the snowfall had been rained away. 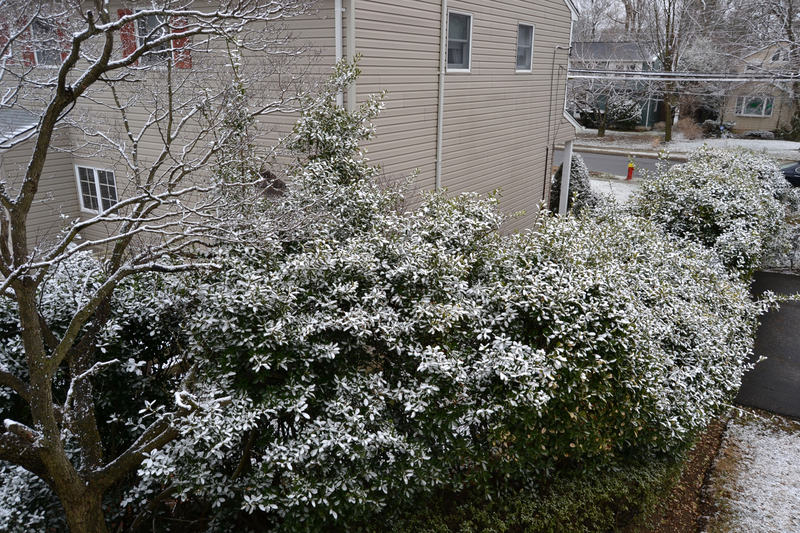 March 21: A mid-afternoon wet snow shower left a small coating. 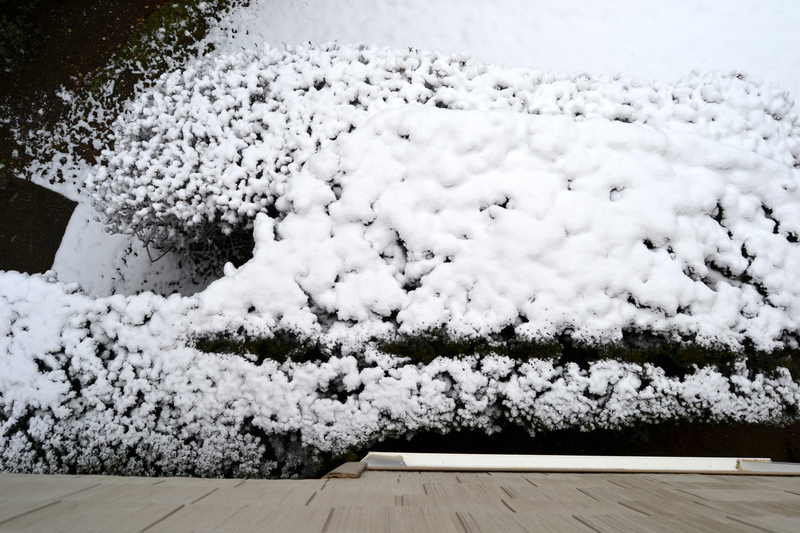 Now, it’s time to make the transition from shoveling snow to sweeping pollen. Posted by Mike C. in Internet, Media, News, Personal, Photography, TV, Weather. It’s been a trying nine days for me. It all began last Wednesday night. 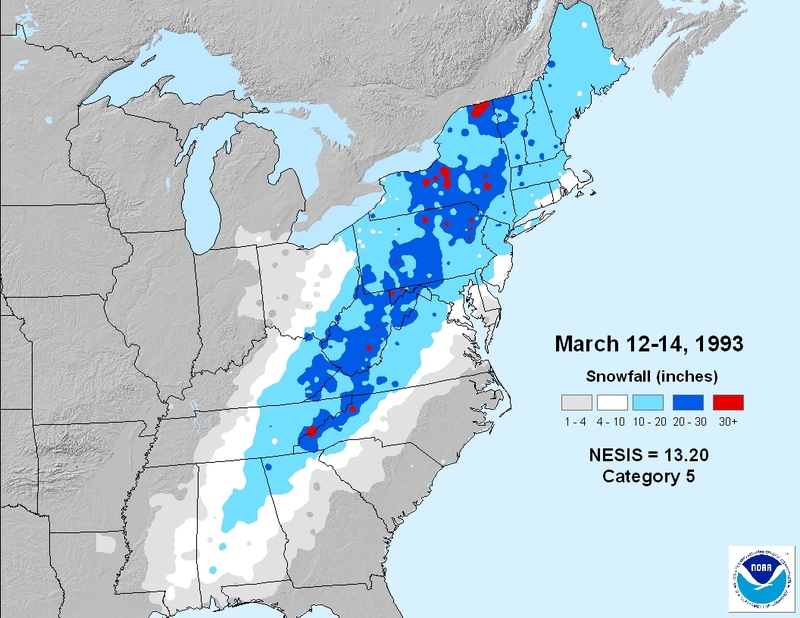 Meteorologists began warning of a big nor’easter for the Northeast and Mid-Atlantic one week later. 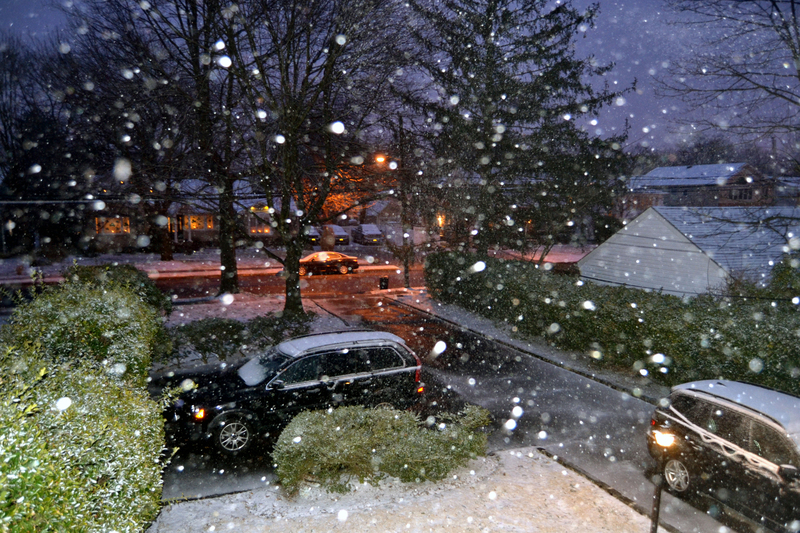 It would bring high winds and wet snow, a volatile mix. In the days that followed, weather computer models from various media and meteorological organizations projected different paths for the storm to take and where it would meet up with a low moving from the Pacific to the Tennessee Valley. The center would be over Cape Hatteras or the Delmarva Peninsula. From there, it would go east, southeast, or northeast. Meteorologists hedged their bets by making their forecasts based on what the most models were predicting at the time, but made clear that the forecast could change. It did. Long Island went from missing the nor’easter entirely, except for gusty winds, to getting its northern fringe. Worse yet, the storm was going to take longer to push east than originally expected. 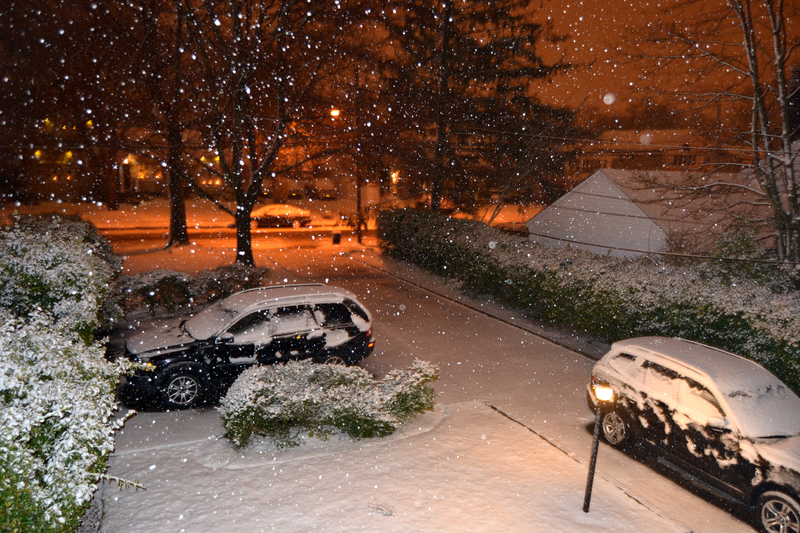 Thus, a one-day nor’easter became a three-day nor’easter. 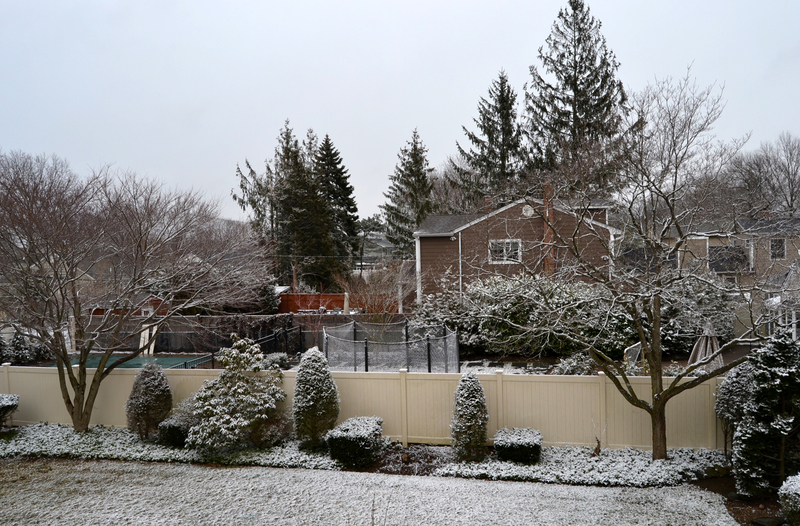 For the next week or two, the backyard looked like the North Pole because the rain-and-flood-soaked snow froze over. Air temperatures were stuck below freezing for a week. 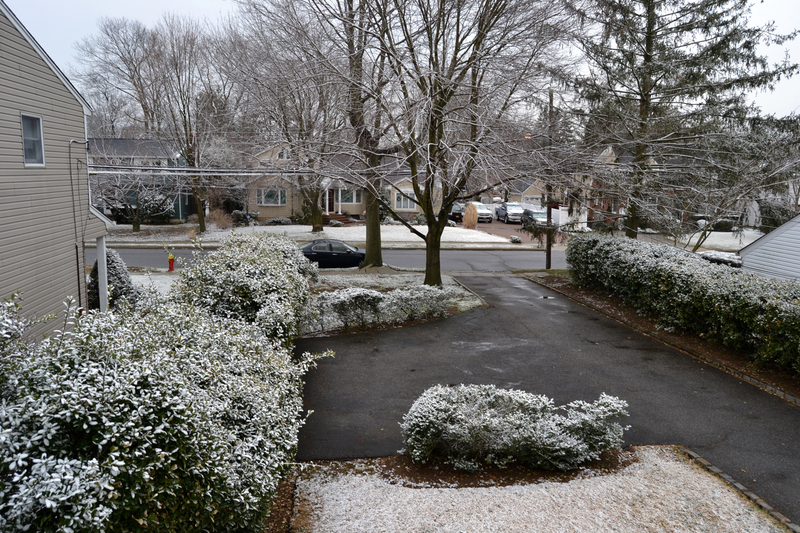 So, snow didn’t completely melt in some areas until the end of the month. My family and I moved (for unrelated school reasons) to the Wantagh Woods section of Wantagh in July 1993, over a mile inland, where I live to this day. Back in the present, as it became clear we were getting this nor’easter, visions of Sandy began dancing in my head as I feared the worst, even though the highest gusts would be nothing like Sandy. And the nor’easter’s duration brought me back to what began my high wind fears in the first place: a stronger nor’easter that began three years ago next Wednesday. I was without power then, due to uprooted trees, for two days. Then, in poker terms, Irene saw those two days and raised me five and a half. Sandy saw those five and a half days and raised me nine. 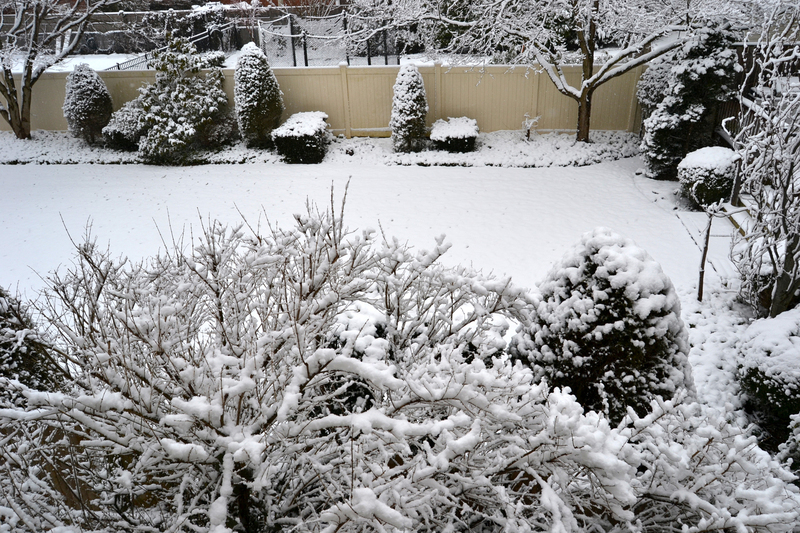 I also thought of a similar wet snow-producing nor’easter that came exactly one year before Sandy. 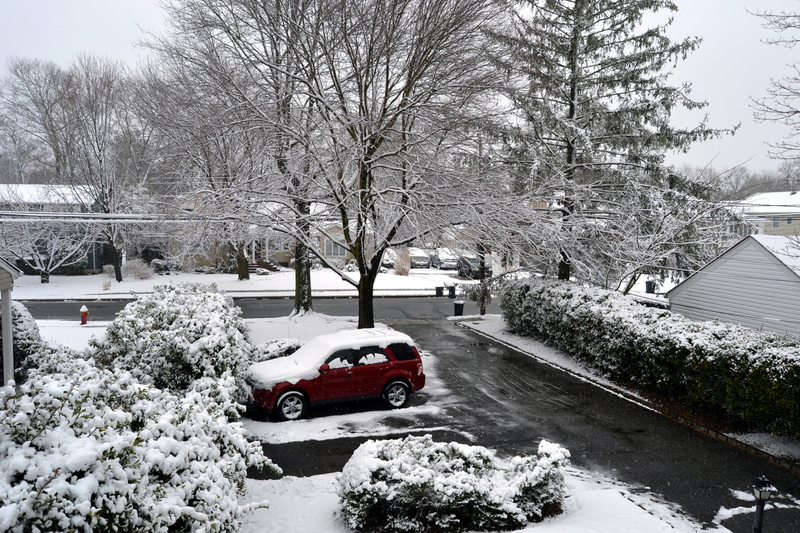 New Jersey, Connecticut, and the Hudson Valley received a lot of wet snow, which weighed down still-leaved tree limbs, taking many of them down, or whole trees down, and the power out with them. 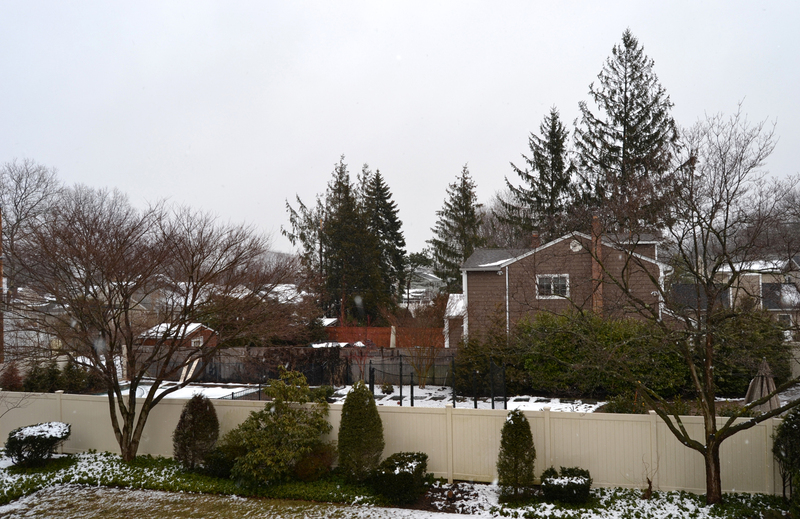 The post-Sandy nor’easter also brought wet snow that weighed down still-leaved tree limbs – Sandy didn’t blow all of them off – but the ones in my neighborhood did not break off nor did they come down. 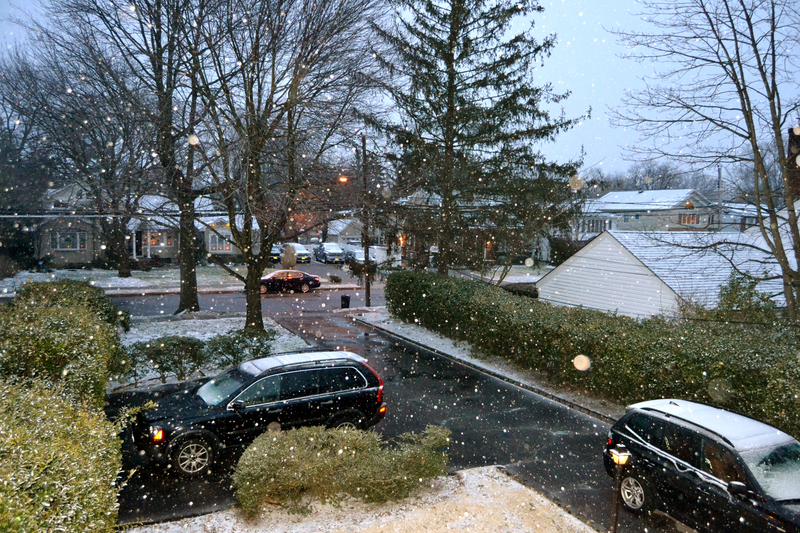 This week’s nor’easter came in under cover of darkness early Wednesday morning. The winds gradually increased, as did the gusts. 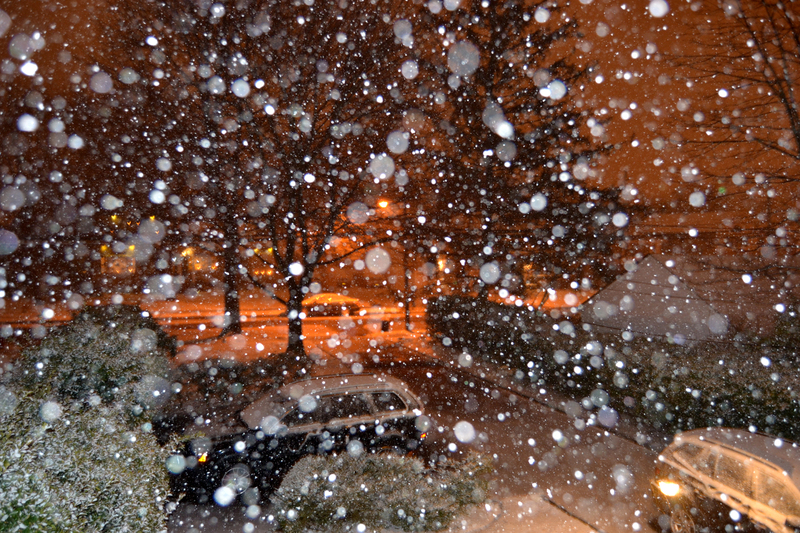 Gusts of around 40 miles per hour plowed against my east-facing bedroom wall. But precipitation was scarce. As the day progressed, the wind direction shifted from the east to the north-northeast. The wind was no longer pushing against the wall, but I could still hear it. As the night progressed, I was prepared for power to go out at any moment. I went to sleep around midnight and woke up seven hours later with the power still on. 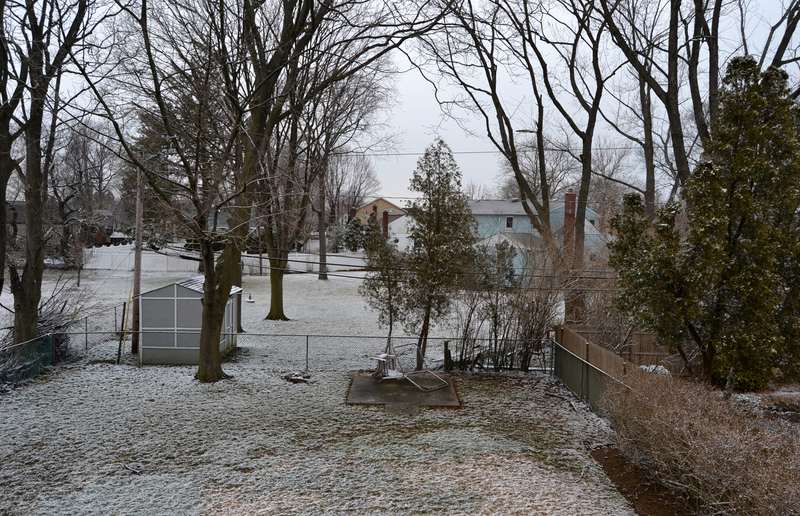 Not only that, but the wind diminished and there wasn’t any snow on the ground. 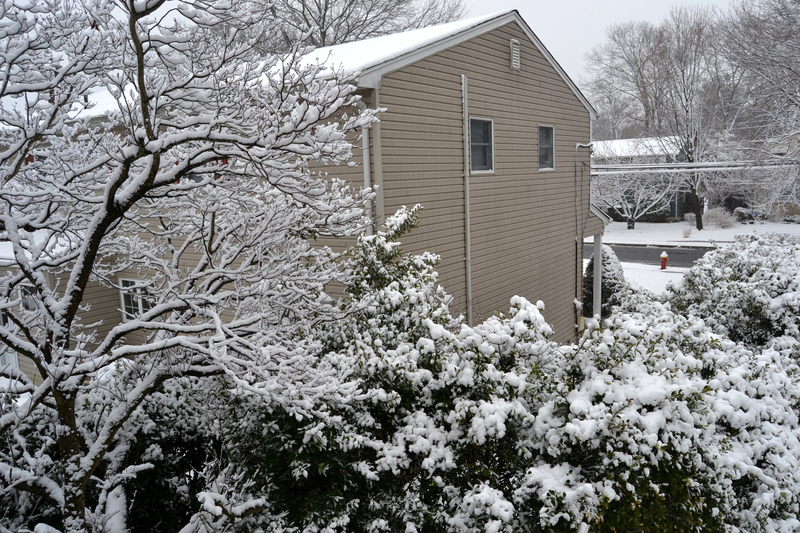 Up to 6 inches of wet snowfall was originally expected for Wednesday night into yesterday, the first part of the nor’easter, but by mid-afternoon, the forecast dwindled to an inch or two. With little or no snow for Wednesday night, the concern shifted to last night into today when heavier wet snow was expected. More snow fell to my north and any area that received heavy snow bands. 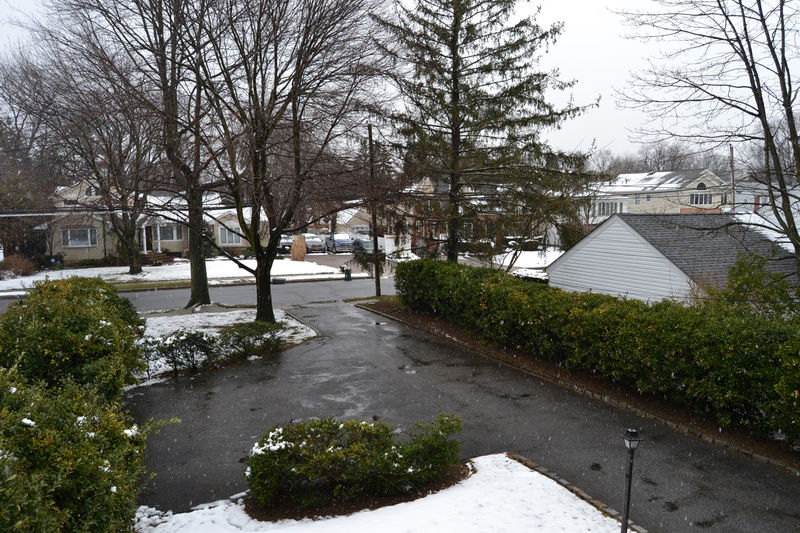 According to Newsday (subscription required), Syosset received 8 inches of wet snow and Jericho got 6 inches. 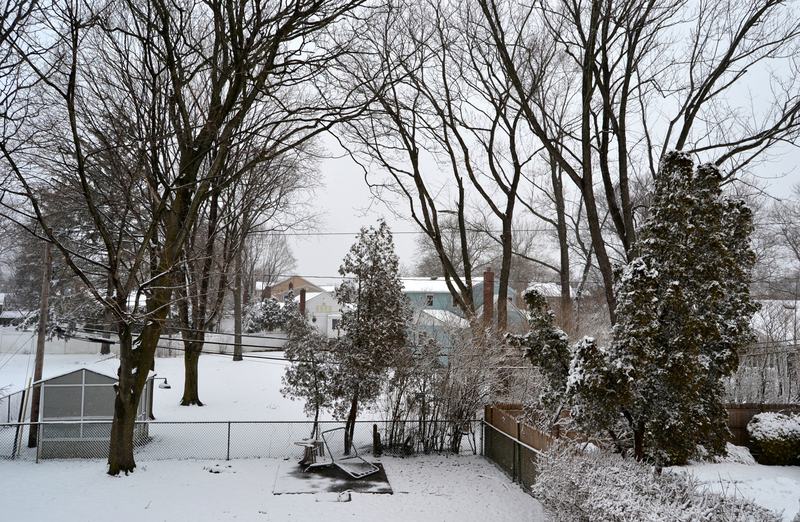 Levittown, to my immediate north, received 4.5 inches. The wet snow melted on most of my driveway, but stuck to the cars and garbage/recycling pails left at the curb for Friday pickup. 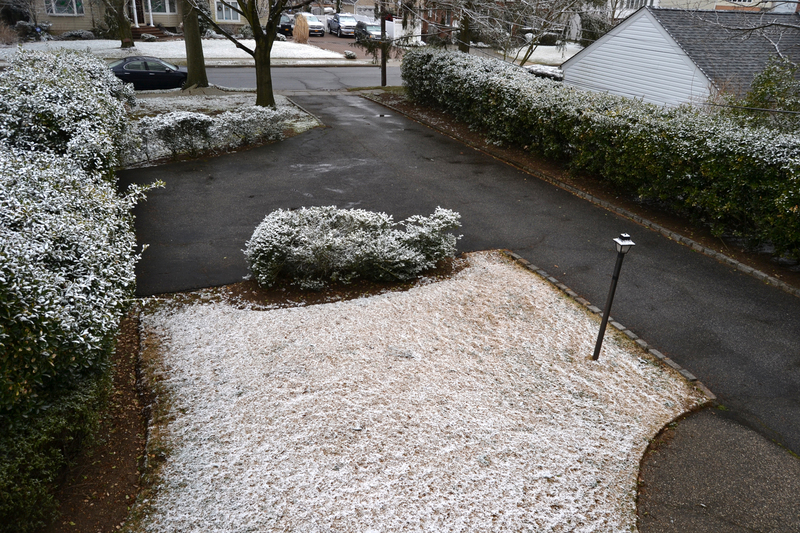 Five hours later, snow had tapered off and begun to melt. As I publish this post, the wind has shifted to the north-northwest and is a mere eleven miles per hour. 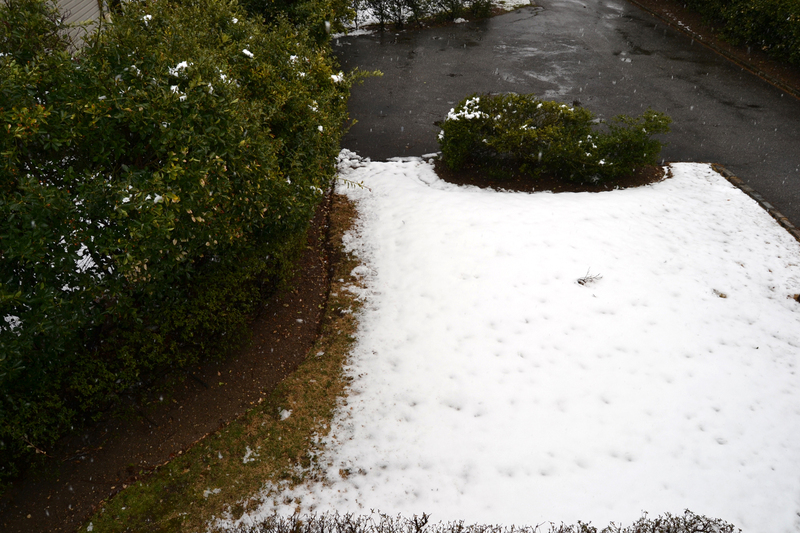 Most of the wet snow on the grass in the above picture is still there. With milder temperatures and abundant sunshine expected over the next few days, it won’t be on the grass much longer.